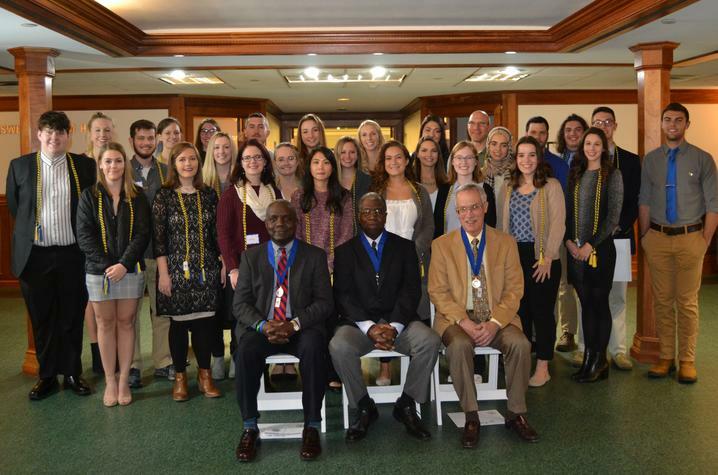 LEXINGTON, Ky. (Dec. 6, 2018) — The University of Kentucky chapter of The Honor Society of Phi Kappa Phi recently inducted a total of 63 new members in ceremonies at the E.S. Good Barn on campus. Fifty-nine students together with four faculty and administrative honorees were welcomed into the nation’s oldest and most selective all-discipline honor society. James Albisetti, now in his 40th year as a professor in the UK Department of History, within the College of Arts and Sciences. Merl Hackbart, professor and founding director of UK’s Martin School of Public Policy and Administration. Cleo Price, assistant dean and diversity and inclusion officer for The Graduate School at UK. Jim Wims, senior assistant provost in UK’s Division of Student and Academic Life. The 59 student inductees represent both undergraduates and graduate students: Hadeel Abdallah, Noland Aull, Chloe Bellerive, Tessa Blevins, George E. Boyd IV, Lilly Bramley, Tyler Brian Burkett, Kris Chappel, Emad Chishti, Kaci Christopher, Sophie June Li Clark, McKaylee Linn Copher, Tessa Cowin, Samantha De Jesus, Abby Duggan, Jacob Eads, Alex Francke, Shania B. Goble, Alison Hammond, Cassandra Hanke, Misty Hobbs, Darrian M. Hoerig, Emily Elizabeth Huffman, Amanda L. Iavarone, Stephanie A. Johnson, Madison Johnston, Eloise Kowal, Alexandria Kresse, April Lamb, Mary M. Levi, Sydney Jean Litterer, Brody D. Martin-Stepp, Maria Mascalco, Jeffrey Michael McCall, Arais Osea Meteyard, Noor Naffakh, Alexander Nguyrn, William Cole Palmer, Emily Ramsey, Caleb Sansoucy, Gus Schrader, Alexander Schuster, Kyra Seevers, Matthew C. Smither, Stacy Southard, Lauren Michelle Spencer, Audrey Sterpka, Madan Subheeswar, Andrew Tao, Nicholas G. Telesz, Sydney E. Veith, Amaris Wade, Andrew Ward, Noah M. Welch, Jordan Wheatley, David Clayton Williams, Jay Winkler, Rachel M. Wright and Guangfan Zhang. Membership is strictly determined by the standards set forth in the society’s bylaws. Juniors must be in the top 7.5 percent of their class, seniors in the top 10 percent of their class and graduate students in the top 10 percent of their class. 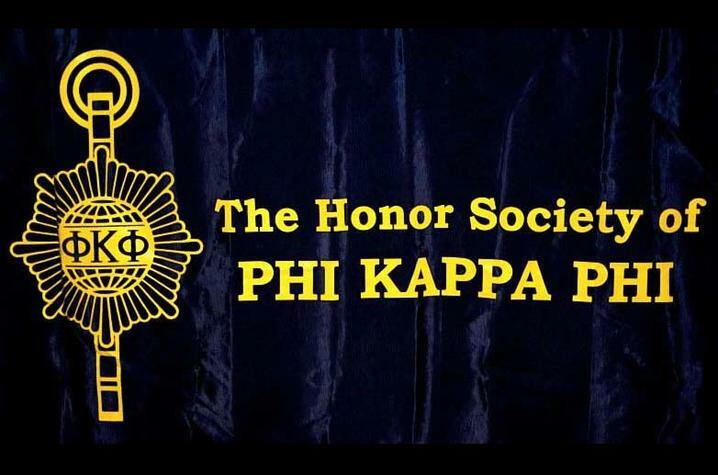 The characteristic of Phi Kappa Phi that makes it unique among the leading honor societies is its policy of electing undergraduate and graduate members from all schools, divisions or departments of the institution. Faculty, professional staff, alumni and community members who have achieved scholarly distinction also may qualify. Strong participation by members in campus and national activities has resulted in UK’s PKP chapter being named a Chapter of Excellence and Chapter of Merit by the national organization on several occasions. “The University of Kentucky chapter of The Honor Society of Phi Kappa Phi continues to distinguish itself,” said Pat Whitlow, director of UK’s Office of Nationally Competitive Awards and president of PKP on campus. Phi Kappa Phi’s robust award programs give more than $1 million nationally each biennium to qualifying students and members through fellowships, undergraduate study abroad grants, grants for literacy initiatives, and member and chapter awards. To learn more about these programs, visit www.PhiKappPhi.org/Awards. For more information on the UK chapter of Phi Kappa Phi, go to www.uky.edu/Chellgren/Phi-Kappa-Phi or visit www.PhiKappaPhi.org. Phi Kappa Phi is supported by the Chellgren Center which is part of the Academy for Undergraduate Excellence.